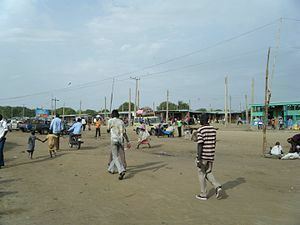 Bor is the capital of Jonglei State in South Sudan. Since 2016, it has also served as the headquarters of Bor Municipality. The town is situated on the east side of the Bahr al Jabal River at the southern extent of the sudd, South Sudan's vast central wetlands. Bor Town is located on the site of a fishing village on the Bahr al Jabal River, where an ivory-and-slave trading depot was established in the 1860s. It grew into a regional hub of the slave-and-ivory trade during the late nineteenth-century. In 1874, Charles George Gordon established a government station there under the Turkiyah Government. In the early years of the Anglo-Egyptian Sudan, Bor was a "wooding station" for steamers travelling along the Bahr al Jabal River. In 1905, Bor was established as the headquarters of the Bor-Duk District. Bor is of historical importance to the people of South Sudan. It was in Malek, a small settlement about 19 kilometres (12 mi) south of Bor, that one of the first modern Christian missions in present-day South Sudan was established by Archibald Shaw in 1906. Bor became the first area to host a Church Missionary Society station in 1906. Malek was turned into a missionary stronghold in the Upper Nile Region. Shaw opened the first primary school in Malek. This school produced the first indigenous Anglican bishop to be consecrated in Dinkaland, Rt. Rev. Daniel Deng Atong, followed the Nikonora Achiek Deng Ariir. John Aruor became the first legend to be baptized in 1916 in Bor. Bor became an administrative centre under the Anglo-Egyptian Sudan (1899–1956) for the Dinka people. Bor is the epicenter of the Second Sudanese Civil War. Dr. John Garang De Mabior, an officer in the Sudanese Army led a revolt in the town of Bor, in May 1983, leading to the birth of the Sudan People's Liberation Movement and Sudan People's Liberation Army (SPLM/SPLA). Bor was also the scene of the 1991 Bor massacre, where approximately 20000 people were killed. Eventually South Sudan became independent on 9 July 2011. Following the 2013 South Sudanese coup d'état attempt, Bor was contested in several weeks of combat between the national army and rebels led by Riek Machar. A portion of the Nuer White Army joined the fighting as well. In 2016, Bor Town was designated as the seat of Bor Municipality. The same order sub-divided the former Bor County into five smaller counties, each containing a single payam. These new counties were Bor South County (Kolnyang payam), Bor East County (Anyidi Payam), Bor Central county (Makuach Payam), Bor West County (Baidit Payam), and Bor North County (Jalle Payam). 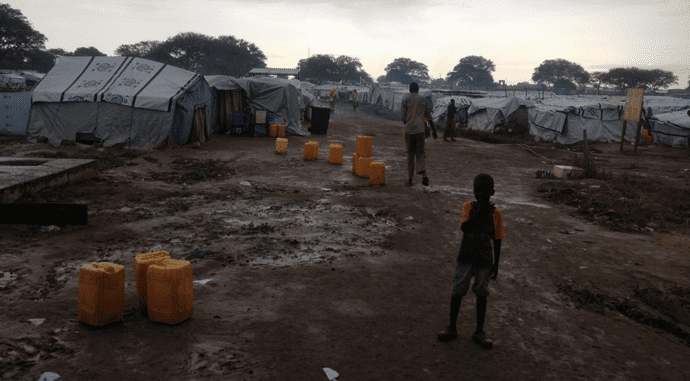 The town of Mading-Bor is Jonglei State's capital city, in central South Sudan, approximately 190 kilometres (120 mi), by road, north of Juba, the capital and largest city in the country. The town is located on the east bank of the White Nile. The 2008 population of Bor Payam was reported by the National Bureau of Statistics to be 61,716. Kenya Commercial Bank (South Sudan) maintains a branch in Bor. The John Garang Memorial University of Science and Technology, one of the seven public universities in the country, is located in Bor. The university is named after John Garang de Mabior (June 23, 1945 – July 30, 2005). Garang is considered the founder of modern South Sudan having led the South Sudanese movement Sudan People's Liberation Army/Movement. He signed the Comprehensive Peace Agreement in 2005, an event which culminated in the independence of South Sudan in 2011. Garang died in a helicopter crash in 2005, 21 days following his swearing in as the first Vice President of Sudan and President of the Autonomous South Sudan. The John Garang Memorial University of Science and Technology was founded by the former governor of Jonglei State, Mr. Philip Thon Leek. Bor is also the seat of an Anglican Diocese in the Episcopal Church of Sudan. Bor is also served by Bor Airport, in addition to river traffic on the White Nile and three major roads that lead out of town.